Ashley Darcy-Mahoney, a neonatal nurse practitioner and nursing professor, is creating an online toolkit for educators teaching pediatric nursing. A professor in the School of Nursing is working to create a set of guidelines for nursing professors teaching pediatric care. Ashley Darcy-Mahoney, a neonatal nurse practitioner and nursing professor, is working alongside the Josiah Macy Jr. Foundation – a philanthropic foundation focused on health care – and the National League for Nursing to create an online toolkit for educators teaching pediatric nursing. The toolkit, which will include online education resources, is expected to be completed by the end of the year and aims to help nursing students understand how to treat infant and child patients of lower socioeconomic statuses or with difficult home situations, Darcy-Mahoney said. 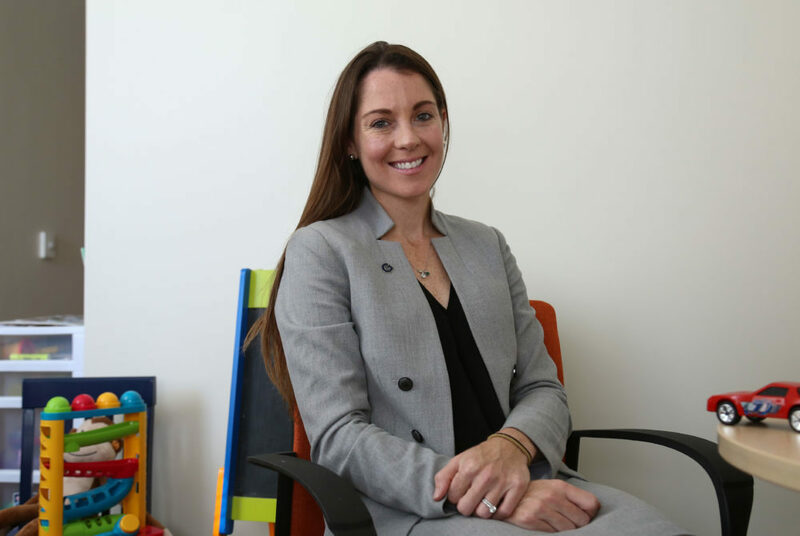 Darcy-Mahoney said she started developing the toolkit six months ago, and her research focuses on long-term impacts of social factors on high-risk infants that influence pediatric health. She said there are often differences in a child’s health based on where they grow up, their access to education, their access to food and other environmental factors they are exposed to during the first three years of their life. Darcy-Mahoney said the toolkit will contain interactive cases, presentations and information on pediatric adversity and social determinants of health, which she said educators could incorporate into their courses. She said the cases focus on the children’s needs regarding nutrition, obesity, oral health, preventive care, immunizations, mental health and autism. She added that the toolkit will be added to the Advancing Care Excellence Pediatrics program housed in the National League for Nursing. The program, which focuses on child care research and education, launched in 2017 as a means for nurse educators to build on course requirements that already exist for graduating nursing students. “I hope that nursing professors creatively use this content to assist graduates in meeting the needs of some of our most vulnerable patients,” she said. Darcy-Mahoney said the toolkit could help students understand how stress, poverty and other childhood experiences affect the brain of a child in a way that may account for disease – aspects of pediatric care that she said are often not discussed in-depth in current nursing educational models. The toolkit will be available to the public for free through the National League of Nursing’s website. Andrea Browning, the Advancing Care Excellence program manager for the National League for Nursing, said the modules in the toolkit will show nursing professionals how to educate nursing students on the impact of early poverty and adversity on early brain development. She added that the toolkit will address the “critical educational gap” in nursing education by helping nursing faculty incorporate new materials for pediatric education. “The main textbooks do not thoroughly cover the increasing impact of environment, housing and access to care in a format that leads to new perspectives and a greater understanding of the special needs of those at greatest risk,” she said in an email. She added that the Hearst Foundation – a philanthropic organization that focuses on education, health, culture and social service – provided the National League for Nursing with a two-year, $250,000 grant at the start of the project to develop new, technology-driven pediatric teaching resources for nursing educators. Holly Humphrey, the president of the Josiah Macy Jr. Foundation, said Darcy-Mahoney will receive salary support of up to $100,000 each year for up to two years to write the toolkit. “Through the Macy Faculty Scholars Program, the Macy Foundation is eager to support replicable innovations that will improve care for patients, especially when they do so by bringing together members of an interprofessional team,” Humphrey said in an email.